New York Times Columnist Thomas Friedman writes that Putin has decided to behave himself due to the interrelatedness of the world economy and the threat of sanctions. His implication is that Obama's "slow and steady" worked. I wish Mr. Friedman would check his facts first. He claims Putin decided to "allow" the Ukrainian election, that he has withdrawn troops, and that he has accepted the results of the Ukraine election. All false. The Ukrainian people have held their country together in the face of foreign aggression. It is they who fight on the front lines on our behalf and on behalf of international order, with minimal help from international institutions and the United States – without us firing a shot. Russian state TV reported (after the polls closed) that controversial far-right politician Dmytro Yarosh was leading Ukraine's May 25 presidential election; even though by all indications he wasn't even close. Displaying figures purportedly from Ukraine's official election website, Channel One announced that Right Sector leader Yarosh was comfortably ahead in the race, with more than 37 percent of the vote. The report was backed by a screen shot of the Ukraine electoral commission web site showing Yarosh’s substantial lead. The announcer acknowledged that the figures were radically different from exit poll data by four pollsters, which showed Poroshenko with an absolute majority. Perhaps the strangest thing is how such obviously questionable figures could be broadcast on Russian national television. Yarosh ended up with one percent of the vote. Ukrainian media reported shortly before the vote that the Central Election Commission website had been targeted by a cyber attack. Interfax news agency quoted Ukrainian officials as saying on May 26 the information about Yarosh's alleged lead "was prepared in advance" by hackers, and was "stored on Russian Internet resources." The Channel 1 report was wishful thinking. Yarosh has been vilified as the crazed Neo Nazi who controls the Kiev government. The Putin propagandists had hoped for a strong showing to prove Kiev’s radicalization. No such luck. Maybe Channel 1 had no been clued in to the cyber attack. A lesson for those who listen to Russian TV news: Don’t trust what you hear. For the whole story, see Radio Liberty, Russian TV Announces Right Sector Leader Led Ukraine Polls, May 26. Vladimir Putin "respects" (uvazhaet) both the illegal Donbass referendum of May 11 and the Ukraine presidential election of May 25. Which does he "respect" more. It now seems Putin can "respect" without accepting (prinimat') election results. Another sanction dodge by the master dodger, Vladimir Putin..
Armed men closed down the district electoral commission. They destroyed voter rolls and voting equipment, burned the ballots, and locked the doors, warning polling officials not to return. Separatist forces are threatening to shoot anyone who shows up to vote. Even if someone wanted to vote, the polling stations are locked. Armed separatists are appearing at colleges and universities informing male students that they have been drafted and must report for duty. The police do nothing to prevent these activities. Looting and theft are growing day by day. Shots can be heard throughout the city day and night. There may be some polling stations open in the extreme west of Donetsk oblast. My colleague would be surprised if the total turnout is 10 percent. Advice to the government in Kiev: These terrorists can only be removed by force. The sooner and more decisively the better. There is a growing consensus that Vladimir Putin has abandoned his campaign to take control of east Ukraine. The fog of war, such as the killing of nearly 20 Ukrainian soldiers yesterday, is obscuring the distinct turn in the tide. Putin’s goal has changed from dismantling Ukraine as a united state to destabilizing Sunday’s presidential election in the east. Ukraine has a chance for a third lease on life. It cannot afford to blow this chance by returning to its old ways of governing. Ukraine’s third lease on life will likely be its last if wasted. The Office of the United Nations High Commissioner for Human Rights issued its report on the human rights situation in Ukraine on May 15, 2014. Written in the bland blame-no-particular-side style of the United Nations, it nevertheless reads as an indictment of Russia’s “illegal” annexation of Crimea, of the human rights abuses ongoing in Crimea, and of the illegal destabilization activities in east Ukraine supported by Russia. The report recognizes that Ukraine has taken the steps called for by the Geneva Agreement of April 17 with respect to constitutional changes, decentralization, and amnesties. The report comes down hard on armed groups that illegally seize and occupy public and administrative buildings and proclaim “self declared” regions and commit human rights abuses, such as abductions, harassment, unlawful detentions, in particular of journalists. The report notes warns: “In eastern Ukraine, freedom of expression is under particular attack through the harassment of, and threats to, journalists and media outlets. The increasing prevalence of hate speech is further fuelling tensions. Both these factors are deepening divisions between communities and exacerbating the crisis. All parties must take immediate steps to avoid incitement and radicalization.” (I don’t know of threats to journalists, kidnappings, and harassment of journalists by the Ukrainian side, so the report must refer to Russia’s agents). The UN report also calls for investigations of the tragic loss of life in Odessa (which Ukraine has already agreed to) and the loss of life during the Maidan demonstrations. The report calls for transparent, fair, and democratic presidential election on May 25 but reports arbitrary restrictions, conflicts and incidents, which impacts and curtails their ability to campaign with voters. Although a clear indictment of Putin’s Russia and its proxies, skeptics can argue that no one pays particular attention to the pronouncements of the United Nations. I would beg to differ. The United Nations is an important instrument of Putin’s power and authority. He uses his veto power on the Security Council to veto important votes that he deems are contrary to his interests (such as the condemnation of the Crimean annexation). Whereas we might not take the United Nations that seriously, Putin must. It is a shame that this report has received so little attention in the media. We have reason to believe that the self-appointed leaders of the self-proclaimed Peoples Republic of Donetsk (PRD) understood quite well the message of the May 11 referendum. Less than 12 hours after the polls closed, the PRD military commander, Colonel Strelkov alias Strelok (real name Girkin), purportedly issued alarmed instructions to a restive, unsupportive east Ukraine, beset by lawlessness and chaos, from which the Russian “volunteers” might have to flee. The purported order came into the hands of MediaUkraine. A copy is attached. We do not know if it is authentic, but the words and message are consistent with past pronouncements by Strelkov. The events from 09.05 to 11.05.2014 and the results of the referendum conducted on the territory of the Donetsk and Lugansk oblasts reflect only the partial achievement of established goals. The work is made more complex by a series of issues, based on the fact of cases of uncontrolled marauding in Donetsk and Lugansk oblasts, the unauthorized use of firearms, military supplies, and materials, the low level of support for actions for the self defense of the local population. 1. The distribution of weapons, military equipment, financial resources, narcotics, and alcohol [my itals] will be handled exclusively by the forces of self defense (without the participation even of loyal local activists). 2. Actions aimed at the destabilization of the situation must be clearly coordinated with the staff. Eliminate acts of uncontrolled looting and marauding. 4. Increase the intensity of actions to discredit Ukrainian authority and attribute responsibility for the terrorization of the population of Donetsk and Lugansk oblasts by ultranationalist pro-Ukrainian organizations “Right Sector" and ”Svoboda” to the Ukrainian government. 5. Prepare and present before 09:00 15.05.14 to the staff plans for the departure of forces for the Russian Ukrainian border [my itals]. The departure will be prepared and guaranteed by the special services of the Russian Federation. Signed by the Coordinator of forces of self defense of the Donetsk Peoples Republic. The Strelkov document was published on the internet by Press Ukraini. It is going viral on the Russian-language internet. If authentic, Strelkov’s May 12 order points to a collapse of law and order in the Slavyansk region, low levels of public support for the self-proclaimed separatist leadership, an unwillingness to join self-defense forces, and an admission that locals are being supplied alcohol and narcotics to encourage anti-Ukraine activism. Indeed, Ukrainian forces have reported drunken oppositionists, and mobs of demonstrators appear either drunk or high. Point 3 of Strelkov’s order is either garbled or an instance of unexpected candor. It orders that torture or demonstrative (pokazatel’ny) punishment of pro-Ukrainians, armed or otherwise, must be cleared with the Russian (Rossiisky) mass media (SMI). Point 3, therefore suggests coordination between the pro-Russian leadership and Russia’s media to insure either proper staging of news, to prevent unwanted images of Russian abuses from being captured by the wrong cameras, and to lay responsibility for acts of terror at the feet of pro-Ukrainian extremists. The Strelkov document is consistent with the growing consensus that Putin is abandoning his campaign to take over significant parts of east Ukraine. The game appears to be over. I would not be surprised if Putin uses Strelkov and his unsavory gang as scapegoats, claiming they were out of his control all the time. For those who do not understand anything. A few days ago our city was seized by a subversive group. They seized the police, city council, and the SBU headquarters. All this under the guise of the "Donetsk republic." By capturing the police station, they seized 400 units of military weapons. As far as I know these were not guns, but pistols . They handed out these weapons to the " hopniks ". One guy told me that if you put on a St. Georges ribbon, came up and said, " Guys , I'm with you guys" , he could buy by a weapon for 200 hryvnia (800 p . Rubles ) . A few days later, a "people's mayor" of Slavyansk turned up . I have to say he had nothing to do with the city , and even the area and even Ukraine. He is a citizen of the Russian Federation. In 2009 he was wanted for stabbing murder. Somehow he avoided punishment , or says so . So they kidnapped the mayor of our city, Nelyu Shtepa, kept her at a few days , then forced to say on camera that she is "for federalization" and abdicate in favor of this huyla . She remains hostage. After what has been said it was never released. They are holding around 16 people hostage. They deputize police officers and employees of the executive committee . Women who go to cook for them, do it under pain of death , because we have a small town and had no problems. One woman was crying right in line and complained that she does not know how to survive. Slovyansk has become a fortified base of terrorists. They leave for raids on neighboring towns and return. They live in an occupied hospital near SBU and " Villa Maria " near the city museum . People in the city do not support them , but are afraid to speak out because they are paralyzed by fear . Everyone fears that he alone does not support them, and that the rest are for" federalization " . That is what the Russian media says , which we have to watch instead of Ukrainian TV due to the capture of the TV tower . They also launched some garbage on local channel -- anti-Semitic calls to "kill the Jews ." The city began looting -- they robbed all the stores without roller blinds and they break into houses. All gypsies who lived with us always peacefully and nobody touched them left the city in terror . All pogroms and murders are claimed to be the work of " the right sector ." These people attack houses and inform their victims that they are " right sector ." Well about staging murders Bylbasovka is generally silent . At a checkpoint, the militia stopped a resident, Andreevka, and killed him , and said that the right sector murdered him. Which , by the way we did not have and never will. Because he right sector believes that residents of Donbass deserve to federalize if they are such stupid cattle . To be honest, I myself think so , but I feel too sorry for ordinary people here. 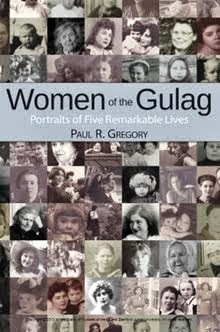 If someone tells me that this is a popular "Slavic uprising " , I throw a stone at him , because of the locals only the Communists led by Khmelev and survivors of a mind like Kubrichenko are with them . . Yesterday in the city reinforcements arrived, according to my cousin, in two trucks .The number is unknown to me . But they are all well armed. The bridge in downtown is mined. People are scared to cross it , but you have to , because it connects two parts of the city. In the river, they found two dead , brutally mutilated . Many parts of their bod bodies weree cut, ripped open their bellies . The medical examiner was also kidnapped , held all day , and when released, he refused to give an opinion and speak at all . The body of one of the dead was identified. 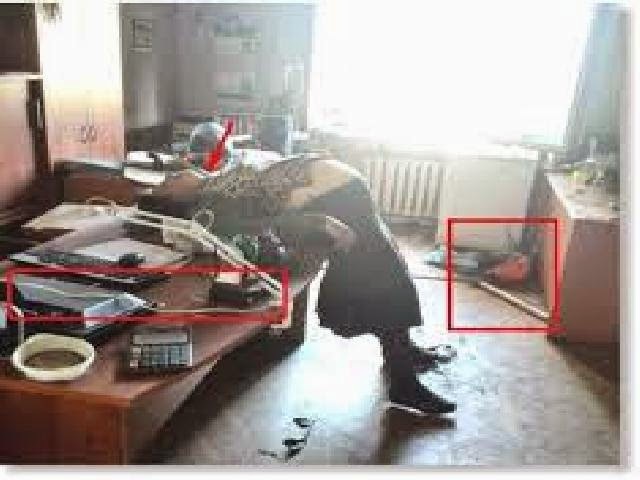 It turned out to be the deputy of Gorlovka Council, whom they did not allow to remove the flag of Russia from City hall. That is, he was sadistically murdered for the flag of the country in which he lives. On the Internet there are thousands of photos and Videofact . They deny the presence of Russian groups, they said today, even in the Duma. Official Moscow continues to insist that the Southeast is a popular rebellion and none of this is managed . Today, my friend 's cousin from Moscow asked him to explain what is happening in Slavyansk. He told him as a eyewitness and a direct participant , but the Moscow cousin did not believe him . Said that he is a " zombie " . Wwe are already a week without Ukrainian channels, but this is not the main point. I have written this because I considered that it would not be honest from my side not to tell. I live in the epicenter of events and not everyone has such an opportunity. Today, the ATO (anti terrorist operation) began. The people are waiting to be freed from this nonsense, which was imposed on us, as I thought, a totally peaceful city. Many of us are of course disoriented. Rumors about the Right Sector spread with incredible speed. I talked with such people who believe that the ATO is the work of NATO special operations in cahoots with the Right Sector. Do not listen to anyone who says that the anti-terrorists are killing their own people. This is happening because of a unique confluence of events: 1. the strategic geographical position of Slavyansk, 2. the agreement to drill for natural gas, and 3) Putin;s desire to introduce troops into Ukraine under the guise of the protection of peaceful people being killed. Separatists opened four polling stations (all in schools) to service a population of some 330,000 eligible voters. (Each voting station would therefore have to be prepared to handle 82,000 voters (with a hundred percent turnout) or 2 voters a second! No wonder there were long lines. To handle these numbers, each station would have had to have a 30 mile-long line queuing in front. Vladimir Putin uses an invisible army of social media propagandists, in addition to conventional media, to support his narrative of an out-of-control Ukraine, to spread fabrications of atrocities by Ukrainian extremists, and to unleash destabilizing rumors on east Ukraine. If Ukraine unmasks the myths of Russia’s disinformation war, Putin’s target audiences, at home and abroad, must eventually reject his whole narrative. Vladimir Putin must be following the sham referendum in east Ukraine with satisfaction and delight. He has outfoxed Barack Obama, John Kerry, Angela Merkel, and the European Union once again. Not only has he escaped sanctions with his “wink and a nod” instructions to the separatist rebels to postpone (not give up) the May 11 election. Putin’s “peace initiative” of May 7 gave his stock market and the rouble a little boost and his plea to the rebels received sympathetic play with the major news services (See, for example Reuters account). On the day of the election, CNN’sreporting went so far as to characterize the rebel’s decision to go ahead with the referendum as “defiance” of Putin. The website of the “President of Russia’s Council on Civil Society and Human Rights” posted a blog that was quickly taken down as if it were toxic radioactive waste. According to the Council’s report about the March referendum to annex Crimea, the turnout was a maximum 30%. And of these, only half voted for annexation – meaning only 15 percent of Crimean citizens voted for annexation. The fate of Crimea, therefore, was decided by the 15 percent of Crimeans, who voted in favor of unification with Russia (under the watchful eye of Kalashnikov-toting soldiers). 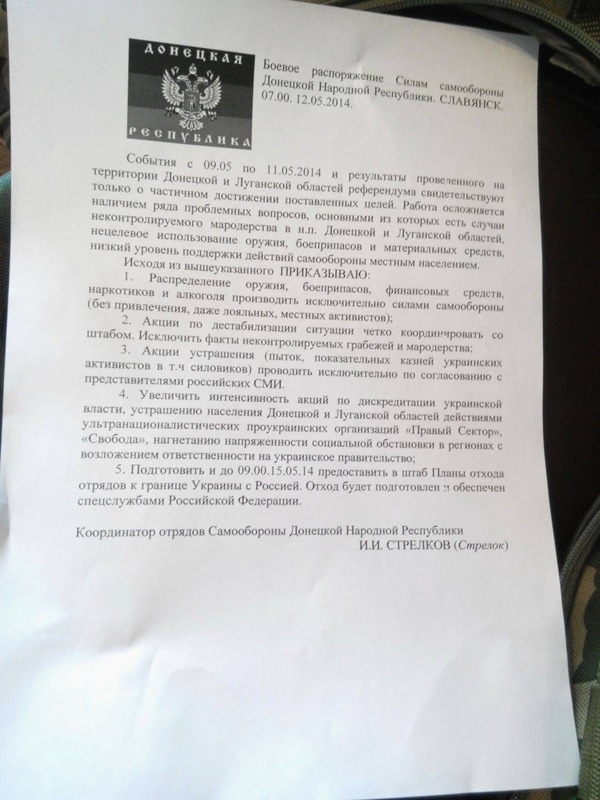 The intercepted phone calls between Putin's personal emissary and the military commander of the Slovyansk command and control center to carry out the release of the kidnapped international observers clearly shows that the Kremlin is calling the shots in east Ukraine and that the local "self defense forces" are following these orders to the letter. The writers of the New York Times feature seem puzzled why Putin would run the risk of accumulating a secret fortune that would make him among the richest men in the world. After all, he has government planes, palaces, limousines, and every other luxury at his disposal (including $80 million in watches). Even to ask this question reveals a lack of understanding of Putin’s Russia. Putin and his inner circle live in fear of a “Russian Spring” that could unseat them when they least expect it. They cannot place their fortunes in Russia with its lack of rule of law. A deposed Putin living in Switzerland would require a king’s retinue of guards, cronies, and servants. He would need to pay huge sums of protection money. He would not be caught, like his deceased rival, Boris Berezovsky, depressed in his English manor, down to his last $10 million. Read (and listen to) the transcript of intercepted phone calls (Bes to Alph) ordering the murder of a pro-Ukrainian politician (Rybak) in east Ukraine on April 17 and the later call from the head of Russian special operations (Colonel Strelkov) to the self-proclaimed mayor (Ponomarev) to dispose of the tortured body. What a gang of thugs! This illustrates why Putin's Russia is indeed a KGB state. With a Russian budget of 38 percent of GDP, or slightly less than one trillion dollars (Moscow’s Gaidar Institute), the annexation of just the Donbass region of eastern Ukraine would eat up between 6 and 8 percent of the Russian budget each year – as compared with 12 percent for the military. This is $60 to $80 billion less for investment, military expenditures, modernization, and other state activities. If Putin were to annex the whole of east Ukraine (about 15 million population), the cost would double to $120 to $160 billion – to an untenable share of the budget.